Absolute Elegance. 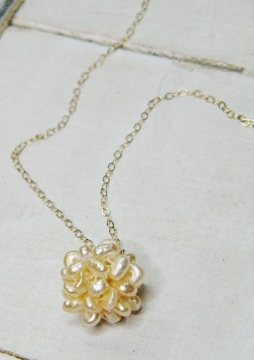 These necklace features 25-30 small pink/peach rice freshwater pearl made into a ball. 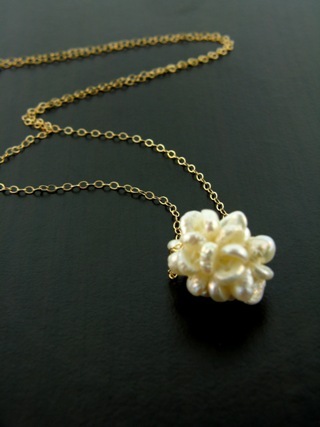 The dainty 14k gold-filled chain adds a perfect touch to this piece.